Things are about to get HAPPY--It’s Sunday and there’s a brand NEW SOTW. 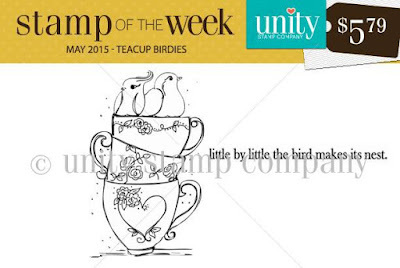 sends you a NEW stamp every week. There’s something for everyone! If you're interested in signing up, you can get all the details HERE. 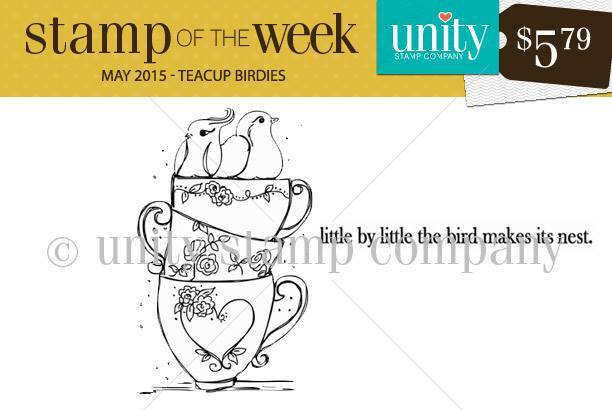 Take a look at this week's Stamp of the Week, Teacup Birdies, by Angie Blom. Beautiful! Here are a couple of projects made using this NEW SOTW! 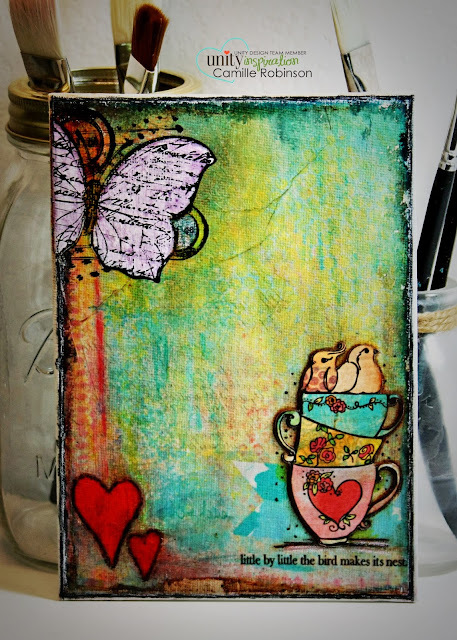 I hope you have a crafty Sunday and a HAPPY week ahead!